Nearly, one year to the date Guardian General Insurance (OECS) Ltd once again exercised its self-assumed corporate social responsibility mandate, by welcoming back members of the 11 care institutions to which it donates funds on a regular basis. Reena Ross, Chief Financial Officer for the Company presented each representative attending with the funds allocated to their care institution. She also assured those present that Ronald Hughes, Managing Director of the company, although being unavoidably absent, extended his best wishes to all present for the season and the New Year. The Care Institutions represented at the event included: Fr Hilarion Cheshire Home, School for the Deaf, Society of St Vincent De Paul, Bel Air Children’s Home, GRENCODA, Queen Elizabeth Home for Children, The Society of Friends of the Blind, The Dorothy Hopkin Centre for the Disabled, GRENSAVE, Stewards of the Poor and Grand Anse Gardens Home for the Aged. 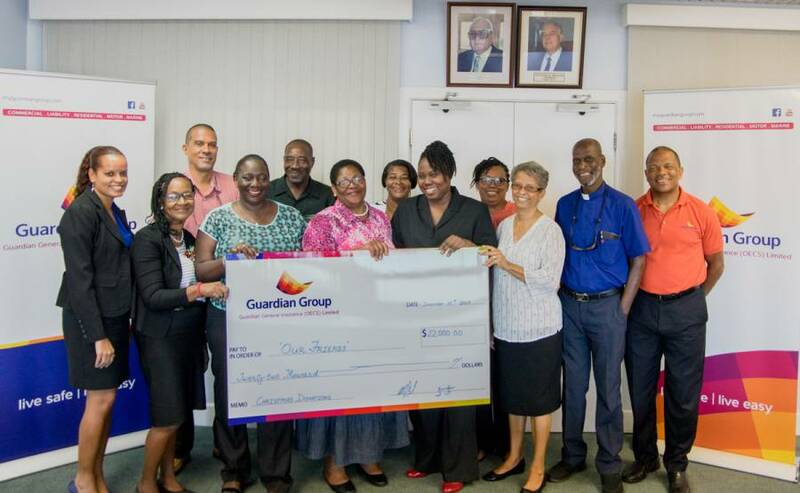 Guardian General Insurance (OECS) Ltd has donated close to half a million dollars to the care institutions since 1998, when it was decided that the company’s corporate social responsibility initiatives should include giving assistance to care organisations, struggling for resources.